Approximately one year ago, the United States Supreme Court in AT&T Mobility LLC v. Concepcion, upheld forced arbitration clauses and prohibited consumers from pursuing many claims in class action lawsuits. A recent article finds that consumers are disadvantaged by forced arbitration clauses. Companies, not consumers, benefit when disputes are arbitrated rather than litigated and decided by a judge or jury. Arbitration is “the submission of a dispute to one or more impartial persons for a decision, known as an “award.” Arbitration is considered a streamlined way of resolving a dispute as the normal rules of civil procedure and evidence, which are required in the legal system, are not present and the costs are usually much lower than a trial. Arbitration agreements can have many variations such as: whether the award is binding or non-binding; whether a party has the right to appeal an arbitration award; how the arbitrator(s) are selected; who pays for the arbitrators; and what information, if any, the parties must exchange prior to the arbitration. Forced arbitration clauses are used by many companies and corporations. You will find forced arbitration clauses in most contracts such as your cell phone and credit card agreements. These clauses require disputes between a consumer and the company be arbitrated and prevent the consumer from brining a legal action. Forced arbitration clauses almost always favor the company over the individual. The company, in its agreements, not only requires arbitration but sets up the procedures and rules of the arbitration and how the arbitrator is chosen. There is an inherent conflict when a company gets to choose the arbitrator, who has an inherent self-interest to find in favor of the company so they can remain an approved arbitrator and continue to be selected. Also, when the company gets to set the rules of the arbitration, the rules are always set in their favor. Arbitration awards are usually also required to be kept confidential, thus not permitting other consumers to learn about the conduct that started the dispute. Forced arbitration also prevents the bringing of class action lawsuits, which has many benefits to consumers especially in low, per-person damage cases or in cases involving a significant, prevalent harm that should become public to protect and inform all potentially affected consumers. The overarching purpose of the FAA . . . is to ensure the enforcement of arbitration agreements according to their terms so as to facilitate streamlined proceedings. Requiring the availability of classwide arbitration interferes with fundamental attributes of arbitration and thus creates a scheme inconsistent with the FAA. Furthermore, the majority opinion acknowledged “class proceedings are necessary to prosecute small-dollar claims that might otherwise slip through the legal system,” but, that States “cannot require a procedure that is inconsistent with the FAA.” The ultimate effect of the Concepcion decision made consumers pursue many cases, in which there was a contract that did not permit class actions or required arbitration, on an individual basis rather than as a class. This decision had the double effect of protecting corporations from large verdicts or awards, as claims cannot be consolidated leading to a large dollar amount, and deterred many people from even bringing claims as the costs of pursuing an individual claim can be worth more than the case itself. The full United States Supreme Court opinion can be read here (AT&T Mobility LLC v. Concepcion, 131 S.Ct. 1740 (2011)). Under Concepcion, companies can insert in forced arbitration clauses provisions that block consumers from banding together to pursue their claims in collective or class actions. Forced arbitration is bad enough on its own terms, as it offers a consumer wronged by corporate misconduct no avenue for relief except a private, secretive tribunal chosen by the company. For millions of consumers in countless instances of corporate wrongdoing, class action bans sweep away even that weak chance for justice. Many consumer claims aren’t feasible as individual actions, and therefore class action bans stop them from proceeding at all. In addition to leaving consumers without remedies for harms done to them, class action bans shield law-breaking companies from accountability. For the companies, this is precisely the point. Justice Denied is very insightful and consumers wishing to understand more about the effects of arbitration versus court actions, including class actions, should read the entire article, which is available here (Justice Denied One Year Later: The Harms to Consumers from the Supreme Court’s Concepcion Decision Are Plainly Evident). Arbitration clauses are found in many contracts for consumer financial products. . . . We want to learn how arbitration clauses affect consumers, and how effective arbitration is in resolving consumers’ issues. This inquiry will help the Bureau assess whether rules are needed to protect consumers. Companies that use pre-dispute arbitration clauses claim that arbitration is faster and cheaper than litigation, and at least as fair. Others disagree, noting that consumers may not realize that they have waived their right to a trial because of an arbitration clause. And even if consumers understand arbitration clauses, these clauses may still have significant impacts that warrant study by the CFPB. The public comment period ends on June 23, 2012. You can also submit letters to congressional members at OpenCongress.org. 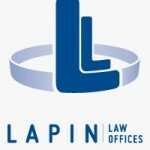 Lapin Law Offices represents consumers harassed or abused by debt collectors or telemarketers. We believe consumers who are wronged should be able to bring their claims in court. You can learn more about your rights by calling us at 402-421-8033 (24/7) or through our websites: Lapin Law Offices or StopBadCollectors.com for a free consultation.